Do you love virgin nature, dreamy beaches and warm and welcoming civilizations? Then Pura Vida! 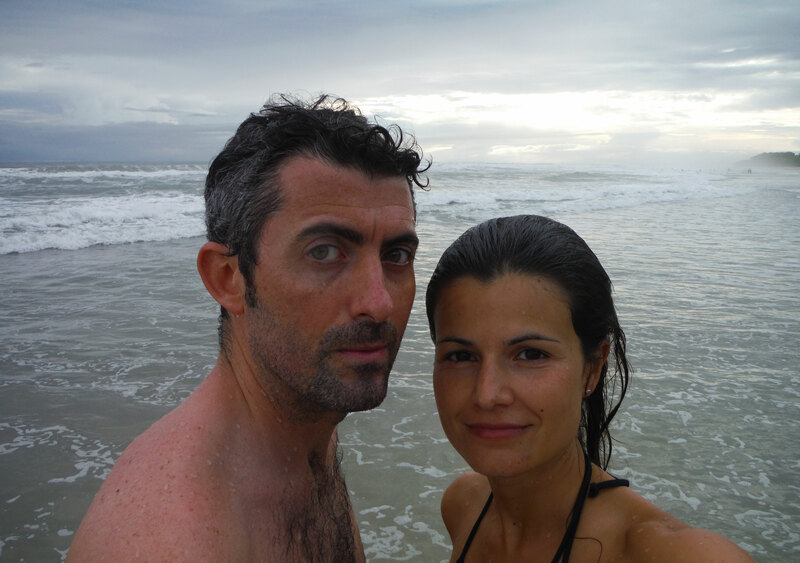 Read about the perfect south america honeymoon in Costa Rica and Panama! I define myself as a travel inspirer, a guide for all those who need advice to organize their vacation-adventures or just want to be inspired. And like every other journey I went on during my life, I personally organized this south america honeymoon for my wedding with Andrea. 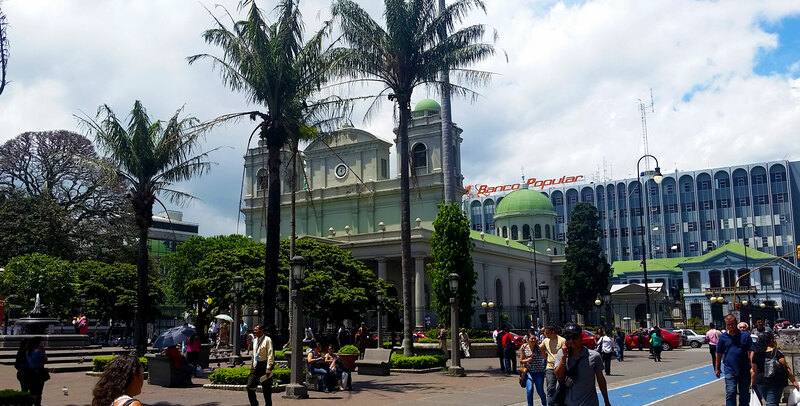 Capital of the state of Costa Rica, San José is its geographical, economic and political center. This city does not shine for beauty and personality. So get your car, recover from the long journey and skip it over. If you have plenty of energy and a few hours to spend, I recommend you to visit the cheerful central market, where you’ll be enraptured by plenty of women screaming at the door of a soda (typical local trattoria) and enjoy your first casado (rice, beans , vegetables or plantain, meat or fish), usually accompanied by a delicious natural (fresh juice of tropical fruit). In a nation that is quite expensive, this meal is a tasty and economical choice. Treat yourself to a few days of relax at one of the many resorts or spas in the area. 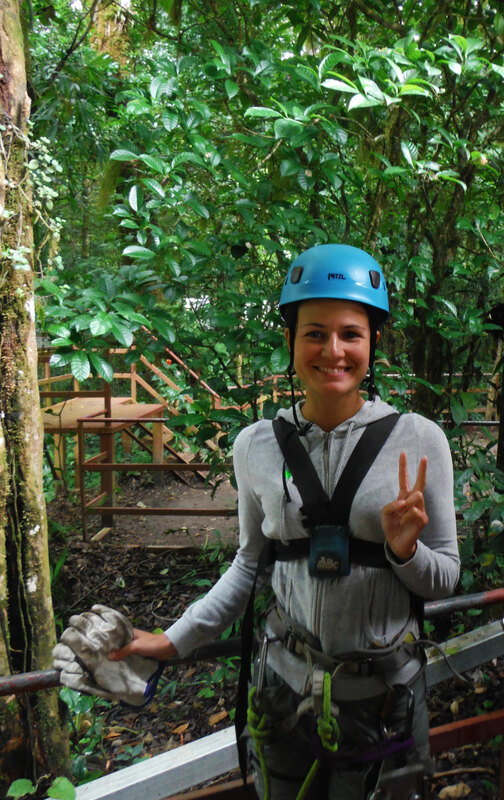 Or if you prefer, stay active visiting the Parque Nacional Volcan Arenal or the Parque Nacional Volcan Tenorio. As you may have guessed, both parks include volcanoes over 1,500 meters high and still active. The available treks are all well marked and compelling. You will admire animals, forests, waterfalls, rivers with unique colors like the Rio Celeste, solfatare and enjoy breathtaking views of the volcanoes. The most famous route in the area is along the slopes of Cerro Chato. Andrea and I did it: it is a constant climb up to the top of the volcano from which you eventually admire a wonderful panorama and dive into the green waters of the lake formed in the crater. Choosing whether to tackle this route or not really depends on your training level: it takes 3-4 there and back. The journey is extremely challenging! 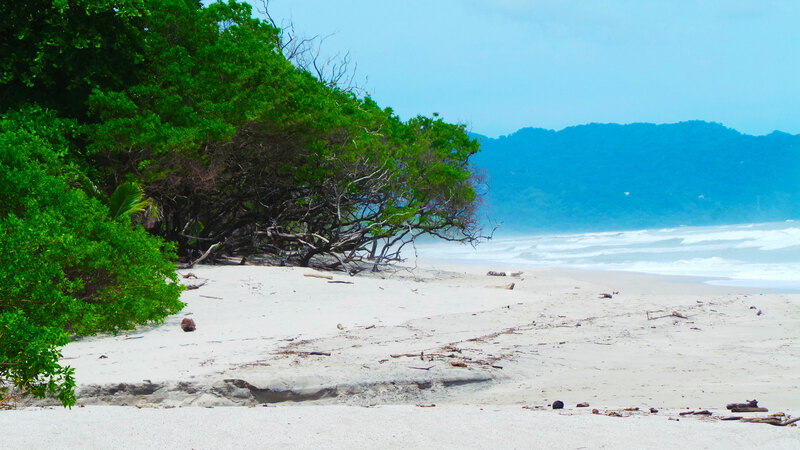 Located on the Nicoya peninsula, this tiny beach village is a paradise for those who prefer authentic places far from mass tourism. Its relaxed, serene and festive atmosphere will immediately involve you and it will only be a matter of time before you fall in love completely… often those who arrive do not leave anymore. Pura vida! Life here is lived slowly, among walks along the beach (the most beautiful spots are Samara, Playa Carrillo and Nosara beaches), diving into the warm ocean, surf lessons, nice conversations with locals and amazing sunsets. “Every hundred meters the world changes” (quote by Roberto Bolaño). Indeed, when you reach the southern tip of the Nicoya Peninsula, after hours of dirt roads surrounded by rainforests and howler monkeys, the world really seems to have changed. There is just one road in the middle of the forest. On both sides: small shops, hotels, houses, bars, restaurants, supermarkets, banks, etc. And then the ocean, surrounded by wild and white beaches that seem to never end. The funny thing is that we have met only good-looking and athletic people there (all of them are surfers)! If you want to learn or practice this sport, Santa Teresa is the most suitable place. 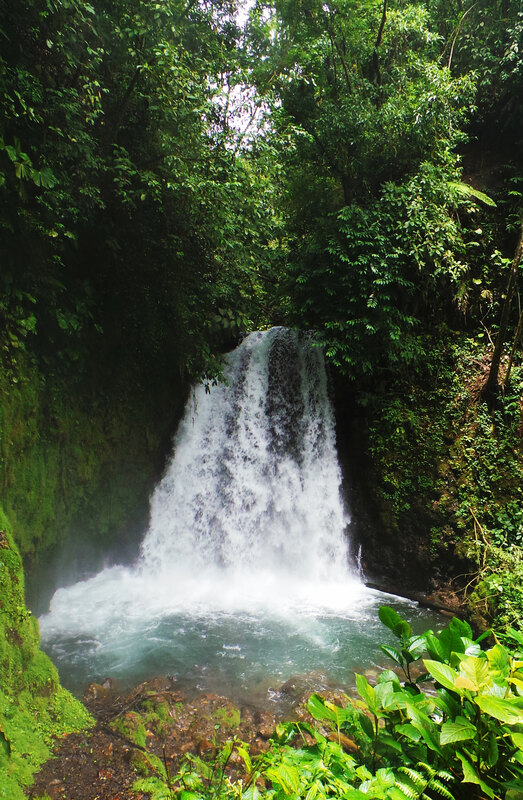 Worth a day trip: Montezuma (also called Montefuma …) and the Reserva Natural de Cabo Blanco. 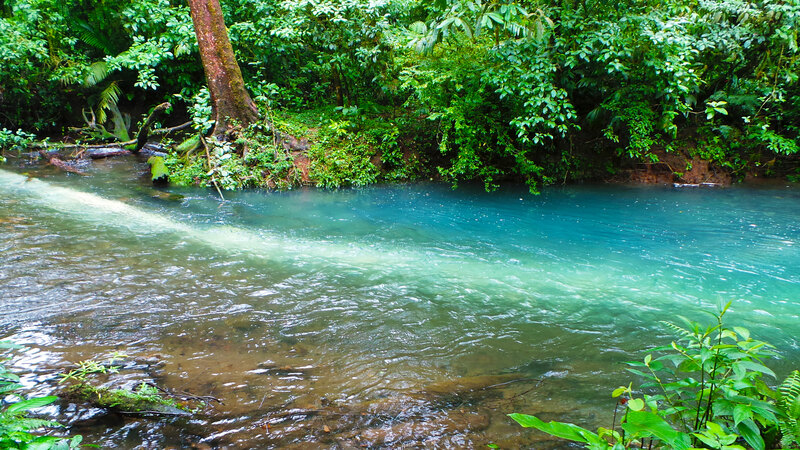 Heading northwards we reach Monteverde, a geographic area of ​​great environmental importance. 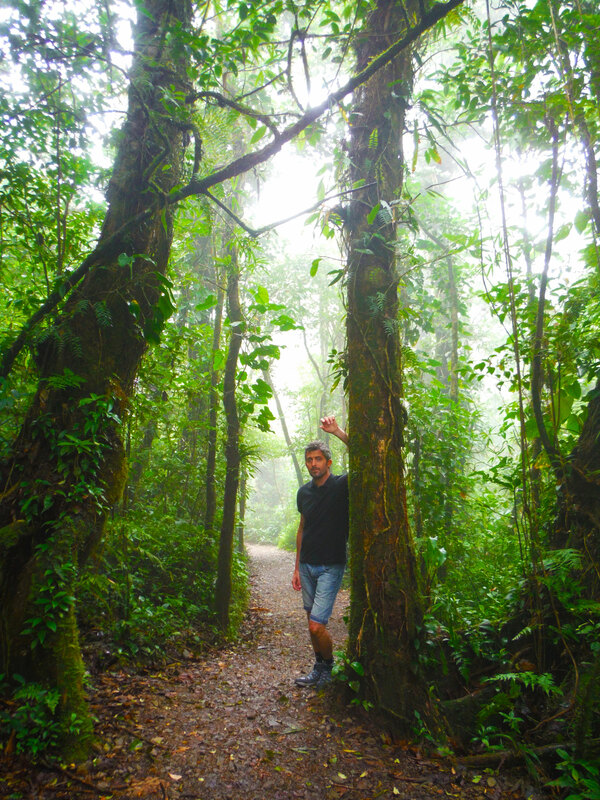 Tourists from all over the world come here to observe the Bosque Nuboso, a type of incredibly humid rainforest, located at 1,600m above sea level and constantly immersed in the clouds. Visit the park to spot more than 500 species of birds and 400 orchids that live in this unique habitat! This town is also famous for having invented the zip-line (a cable suspended in the air to which a harness is hung and slips from one point to the other). We had a lot of fun! You can choose between various types and offers. Pura vida! 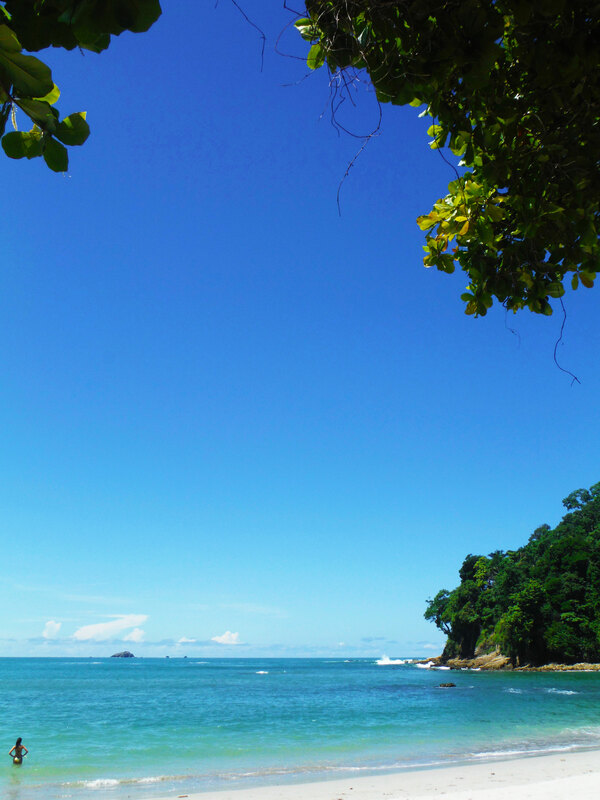 Jacò is the most touristic place in Costa Rica and is a convenient starting point to visit two of the most beautiful parks: the Parque Nacional Carara and the Manuel Antonio National Park. Get ready to spot an enormous amount of unique wildlife. In the first case you can see the very rare Scarlet Macaw (a type of parrot), alligators, giant butterflies, etc. 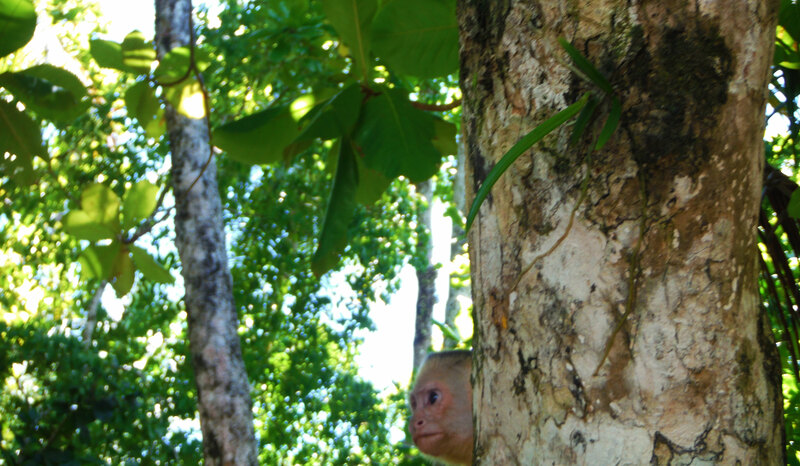 While in the reserve of Manuel Antonio is easy to observe three species of monkeys, sloths, raccoons (they are professional thieves! Be on your guard 24h/24! ), snakes, iguanas, rodents, etc. 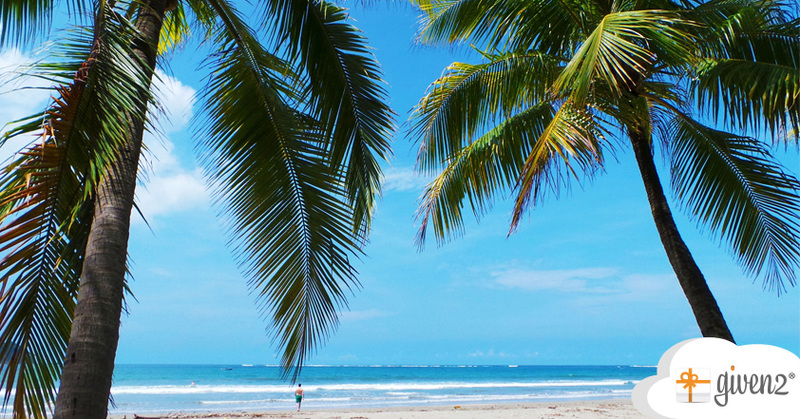 In addition, its pristine beaches are among the most beautiful ones in Central America. After two super busy weeks it’s time to rest … in the Caribbean! 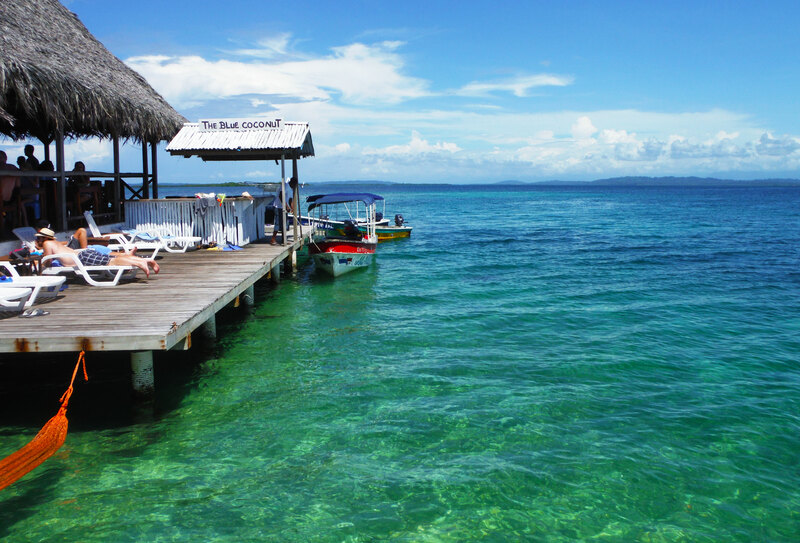 And why not visit the archipelago of Bocas del Toro, located just 32km from the border with Costa Rica? 6 inhabited islands and a myriad of uncontaminated islets, green-blue sea, coral reef, mangroves, and an Afro-Caribbean sui generis culture. So leave the land of Pura vida, which – I can now explain it to you – means: “cool”, “ok”, “good day”, “nice to meet you”. In short, it is a motto of a thousand meanings, all linked to a philosophy of life based on positivity! Once in Bocas del Toro, you will move from one island to another on cheap taxi boats or larger boats used for group tours. 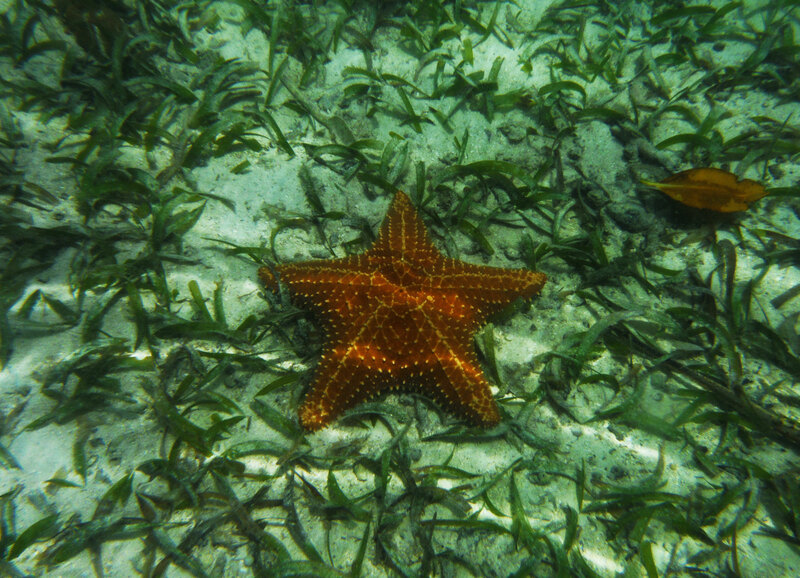 Playa Estrella in the north of Isla Colòn: famous for the numerous starfishes visible on the sea bed. Playa Carenero on the east coast of Isla Carenero: great for surfing offshore or swimming peacefully on the shore. Playa Red Frog on Bastimento Island: reachable through two walking paths. You can spot the rare red Bocas frogs along the way. Cayo Coral and Cayo Zapatillas: amazing uninhabited coral archipelagos where you can do excellent snorkeling and enjoy a small, authentic paradise. I also suggest you to visit the Coconut Bar on Isola Solarte, built on stilts suspended over a crystal clear sea. Imagine yourself sipping a cocktail lying on a hammock submerged and touched by the waves. 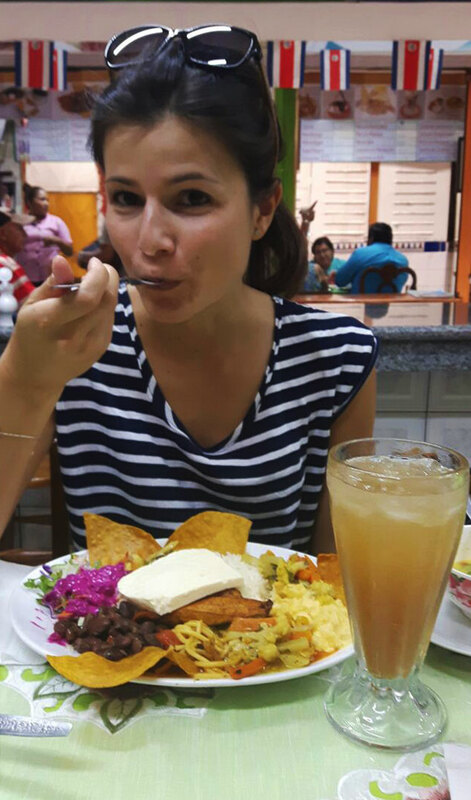 It’s one of the best memories of my honeymoon in south america! There are no direct flights. Several companies offer flights with a stopover, and on average they take about 13-15 hours to arrive to their destination. 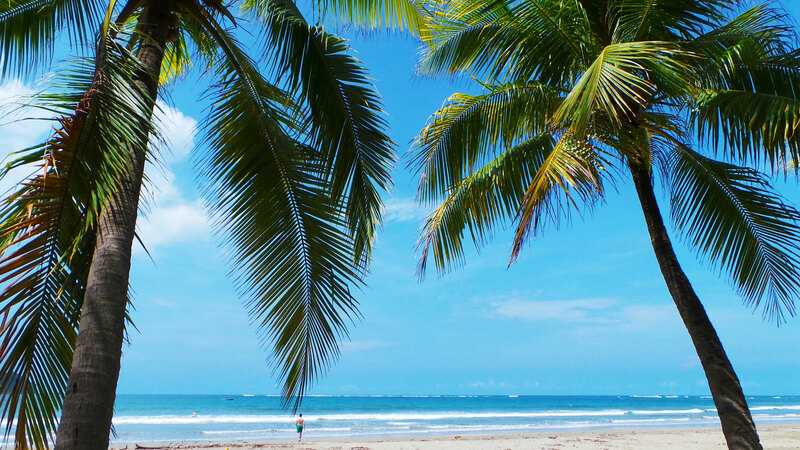 Being near the equator, Costa Rica and Panama have a warm climate all year round (slightly more temperate only in the interior highlands of C.R). The seasons are marked by the progress of the rains. The dry season is from December to April; the wet one from May to November. I visited these places in June, which should be low season. I say “should” because, even if you opt for the rainy season, the weather will still be good. Of course, expect 1 or 2 hours of rain a day (serious rain!) and sudden climate changes; but on the other hand, an always hot climate and more advantageous prices. The accommodation offer is varied: hotels, resorts, B & B, holiday homes and apartments. There are solutions for every need, budget and quality standard. I always recommend using two portals: www.booking.com (mainly for hotels and resorts, but not just them) and www.airbnb.com (apartments or private rooms). Do not underestimate Airbnb, you can find residences of absolute value, with an excellent quality-price ratio. • San José – Hotel Colonial (***): Simple but nice hotel with an excellent quality/price ratio. Ideal to spend 1 night. 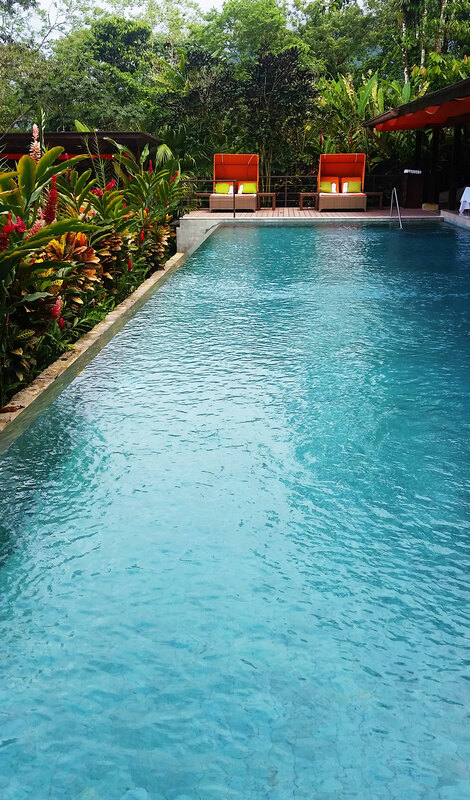 • La Fortuna – Nayara Springs (*****): among the best Hotel-Resort-Spa in the world, awarded with hundreds of prizes. 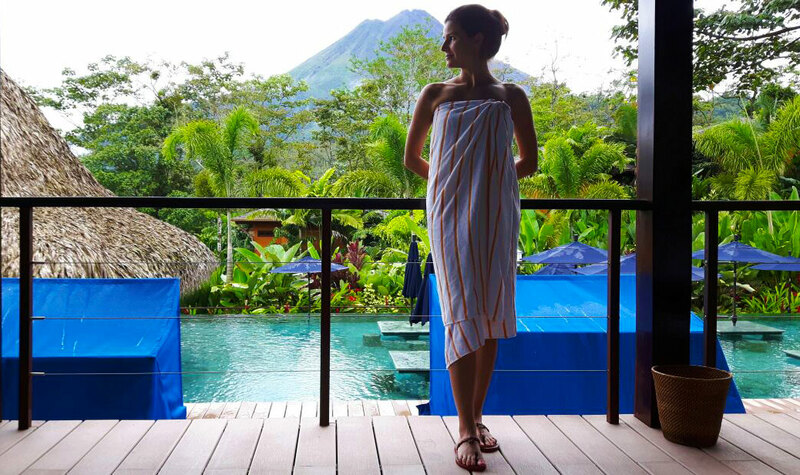 Immersed in the rainforest, eco-friendly, sought after in every detail, excellent service… in short, perfect for those who want to spoil themselves during their honeymoon. For the arrangements proposed, the prices are extremely interesting. • Samara – Hotel Casa Paraiso: Guesthouse with annexed restaurant (also vegan), simple but welcoming. Directly on the sea and managed by Silvia, an authentic Italian “angel”. • Playa Santa Teresa – Ohana Villas: Private villas, equipped with every comfort with kitchen and swimming pool plus a common Jacuzzi. Just 100 meters from the sea. It even offers surf courses. • Monteverde – Hotel Belmar (****): Hotel-Resort with breathtaking views of the Nebular forest. Includes an excellent panoramic restaurant. 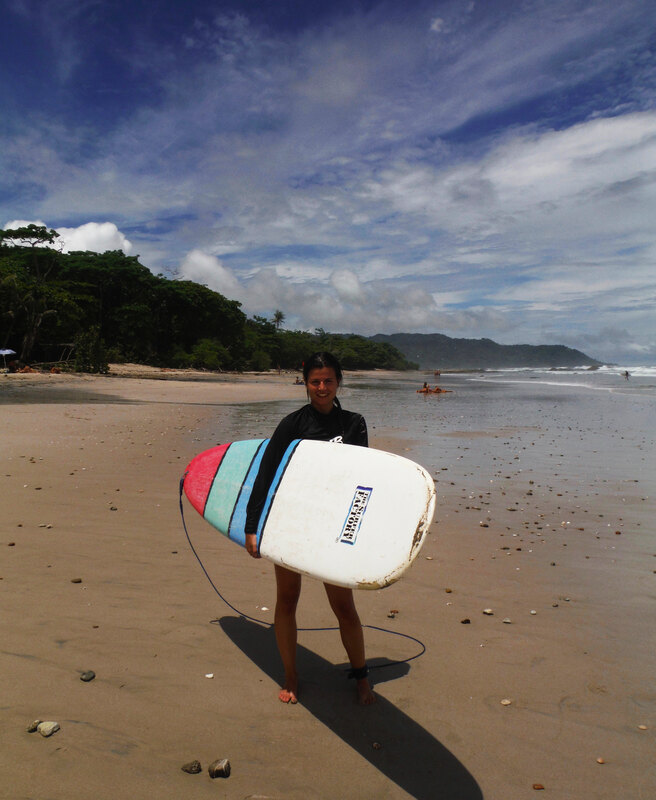 • Jacò – Reeboot Resort: Resort located in a quiet area near Playa Hermosa. It offers spacious and well-lit rooms. Shared pool available. • Bocas del Toro – Barrbra B & B: run by an adorable giant bumblebee dog named Barrbra and his loving owner, this simple but well-kept and well-organized B & B will make you feel at home. Built near water, it includes a pleasant common relaxation area to make friends with other guests. You can choose among: car, bus or plane. I suggest you to rent a 4×4 jeep to move around Costa Rica. Check www.autoeurope.com for the best offers. To go to Bocas del Toro the most convenient alternative is to take the plane (www.natureair.com). • In both countries of destination, American dollars are welcome everywhere; although I advise you to withdraw local coins and use those (you will spend less). • No vaccination is mandatory, but these are those recommended: hepatitis A, typhus and antitetanic. • It is advisable, as for any trip, to buy travel insurance. I recommend www.iatiseguros.com for the best value for money. • Criminality and related risks are almost absent. • The road may be in some stretches bumpy (between Samara and Playa Santa Teresa). • Electrical appliances are compatible with North American ones. I hope this story-guide will be interesting and useful for organizing your on-the-road south america honeymoon between Costa Rica and Panama. 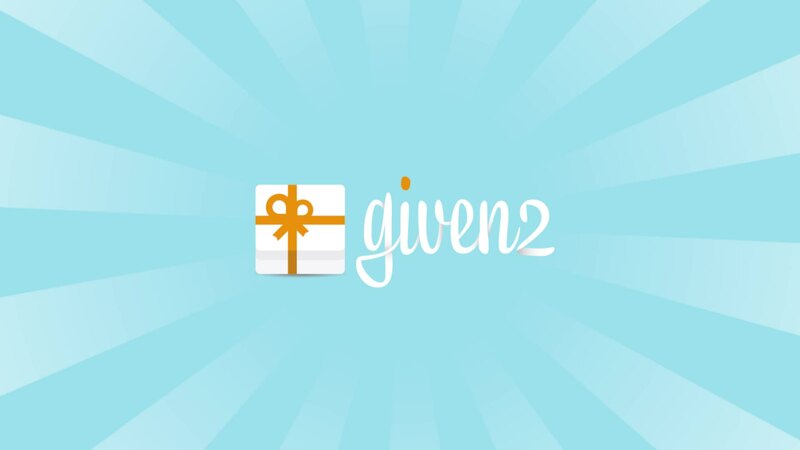 If you have questions, tips, comments or experiences to share, feel free to comment below! I am a citizen of the world. My dream is to absorb as much as possible each tradition, culture, language, story, commodity and value. I want to help and inspire each single person who dreams like me. Expert in tailor-made, active and honeymoon travel. Area of specific expertise: central and south America (but not only). Follow me on Facebook or Instagram.